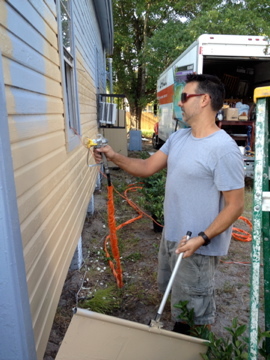 On a beautiful summer day, Realnet Tampa Bay volunteered to spruce up a historic bungalow of a community member in Ybor City. 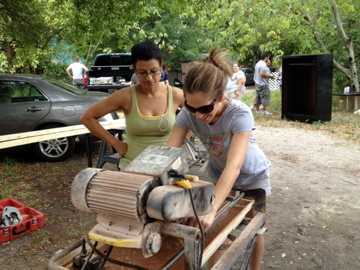 With the help of Realnet’s volunteers a mother and her children received a newly remodeled home. One of Realnet’s guiding principles is to help improve Tampa Bay any way we can. Realnet spends a day helping the homeless. On May 5th, Realnet participated in the Hillsborough County Homeless Coalition’s annual event called Veteran’s Stand Down. The Veteran’s Stand Down offers a great opportunity to fight homelessness in the Tampa Bay area. Veterans and other individuals experiencing homelessness will have an opportunity to learn more about the services that are available to them, including resources that can help change their circumstances. Realnet’s Associates volunteer at the event to help collect information from the homeless as well as share information with them about the many services available to support them in Tampa Bay. 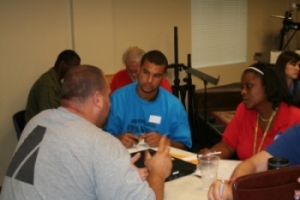 The Stand Down was a great opportunity to fight homelessness in the Tampa Bay area. Realnet thoroughly enjoyed getting involved in the community.